Only a handful of waterways in the world can match the Chesapeake Bay for sheer sailing pleasure. 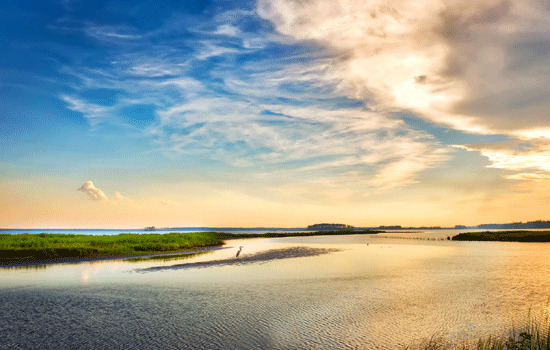 At about 200 miles long, it’s the largest estuary in the United States with thousands of miles of shoreline to explore. It offers sailors protected waters, great anchorages, a forgiving bottom, gorgeous natural scenery, and unique towns and villages steeped in history. It’s perfect for novices just learning to sail, yet challenging enough to keep experts captivated for a lifetime. CHESAPEAKE BAY BAREBOAT CHARTERS - The ultimate in privacy & freedom, bareboat rentals are for groups having their own qualified skipper. Hiring a captain and or hostess/cook always remains an option. For a list of our available Bareboat yachts, please Click Here. Port Annapolis Marina: Our base is at Port Annapolis Marina on Back Creek in historic Annapolis. A sailing Mecca if ever there was one, Annapolis lies at 38 degrees 58 minutes north latitude and 76 degrees 29 minutes west longitude. Maryland’s capital city is the perfect starting point for your Chesapeake Bay exploration. Before embarking, however, seeing the sights of Annapolis is a must. You can stroll down to “Ego Alley” at Annapolis Harbor, and then grab a sandwich at Chick and Ruth’s Delly on Main Street. A couple of streets over, you can visit the Maryland State House, historically distinctive because it’s the oldest state capitol in continuous legislative use, topped by the largest wooden dome in the nation. Annapolis is also home to the U.S. Naval Academy.